Which, of course, means that the blog will be a bit sparse this week, focusing again on terms — words and phrases — we may come across in legal documents that don’t always mean what we think they mean. Words where meanings may even change, perhaps unexpectedly, if we don’t pay very close attention. Case in point: a word that will get you sued for libel if you say it about one person, but that means something else altogether if just one letter is changed. 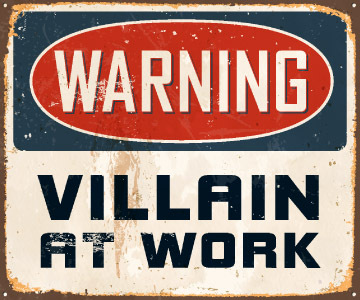 Think for a moment of a villain. Now just change one letter. Think for a moment of a villein. That’s not a bad guy at all… or at least he wasn’t, under old English law. What he was, was probably an ancestor (at least if you’re like me, from pure peasant stock, and worse). From a bad guy to a victim.